JOHAKU Micro Card Reader warranty for 1 year from the day of purchase. 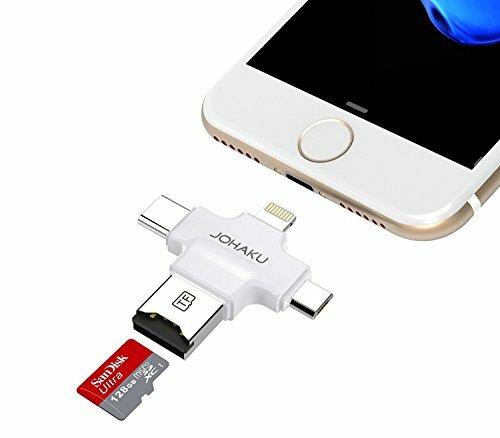 【FREE APP FOR JOHAKU USB CARD READERS】 - You could please download the free app named "IUSB Pro" from app store for IOS system. Android and Type-C Smartphones do not download app, please enter to the phone "file manager" to operate. 【WARRANTY OF JOHAKU MIRCO CARD READER 】 - 12 months worry-free product guarantee for every purchase from JOHAKU and always satisfied customer service 24h available. If you have any question in using and need professional technical support, you could please e-mail JOHAKU Cusotmer Service. If you have any questions about this product by JOHAKU, contact us by completing and submitting the form below. If you are looking for a specif part number, please include it with your message.